Marie Brennan: I generally credit that to Diana Wynne Jones, and specifically her novel Fire and Hemlock, which I read when I was nine or ten years old. The main characters in it are writing a story together, and when I put the book down, I thought, I want to be a writer. It was the first time I recall thinking about making up stories, not just for my own entertainment, but for other people to read. 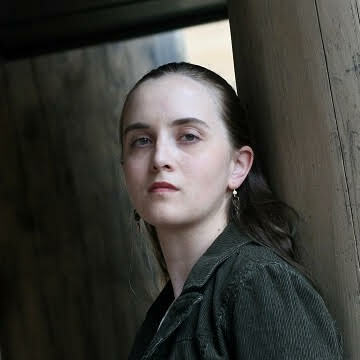 I got serious about it when I was eighteen, sold my first novel when I was twenty-four, and have never looked back. MB: Some years ago I bought a pair of black-and-red beaded earrings from the jeweler Elise Matthesen, who habitually gives titles to all the pieces she makes. The earrings are called "At the Sign of the Crow and Quill," and like many authors, I pledged to Elise that I would try to write something by that title someday. 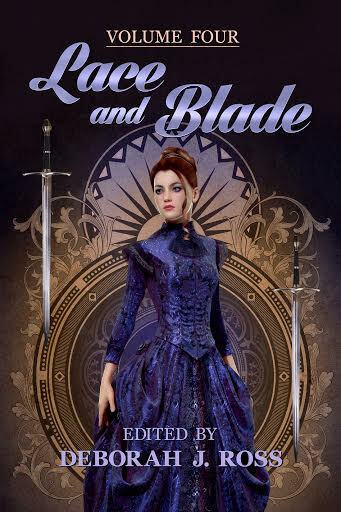 The mood that evoked in my mind was very much a Lace and Blade mood, so when I received an invitation to submit to the anthology, that turned out to be the spark I needed to transform the phrase into characters and plot. DJR: What has most influenced your writing? MB: Definitely my academic background. In college I majored in archaeology and folklore; in grad school it was cultural anthropology and folklore. I never took a single creative writing course. I know that some people find them great; if you have a good teacher you can grow enormously as a writer, and even without that, just having permission to treat writing as something important, rather than just a hobby, can be vital. But for me, the most effective thing was to take classes and read books that gave me something to write about. The real world, in all its multifarious historical and geographical and cultural glory, is an endless source of inspiration to me. MB: I am such a night owl. Such a night owl. As I type these words, it's almost 11:30 at night, and this is the warm-up work I'm doing before settling in to put more words on the current story. I'll probably go to bed between 2 and 3 a.m. This has been my habit since college, and I've been lucky that, barring a few summer jobs with very early start times, I've been able to maintain my preferred schedule for basically my entire adult life. As for the stories themselves, I am much more of a discovery writer than an outliner, though lately I've been working on some collaborative projects where outlining is a necessity. I can do that if I have to, but I prefer when possible to figure out my story as I go along -- that way I stay excited about it, rather than feeling like I'm just filling in the blanks. 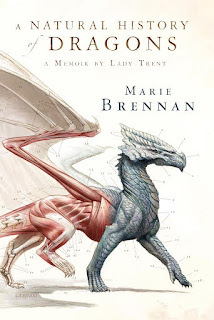 MB: Right now I'm freelancing for the game Legend of the Five Rings, gearing up for a standalone sequel to my previous series, the Memoirs of Lady Trent, and working on a Sekrit Projekt I can't tell you about. But oh man, the number of ideas on my plate -- it's absurd, honestly. My agent has three different novels or series out on submission right now, and a new idea mugged me just the other day, which I'm so excited about that if one of those three doesn't sell, my disappointment may well be outweighed by the fact that it means I get to tackle the new idea sooner. MB: Don't give up. It's pretty standard advice, but that's because it's one of the most important things to remember. I have nothing against self-publishing -- I belong to an authors' publishing collective, Book View Café, precisely because I know that not everything fits into the traditional model, nor is that the right path for every author -- but there's something to be said for rejection, for sending out your short stories or novels to editors and trying to clear the bar they've set. It's like weight-lifting: if you only ever lift weights that are easy for you, you won't build much strength. Rejections can be a challenge, a dare for you to better. Revise that story, or write a new one, and keep on trying. Don't give up. academic fields for material. She most recently misapplied her professors' hard work to the Victorian adventure series The Memoirs of Lady Trent; the first book of that series, A Natural History of Dragons, was a finalist for the World Fantasy Award and won the Prix Imaginales for Best Translated Novel. She is also the author of the Doppelganger duology of Warrior and Witch, the urban fantasies Lies and Prophecy and Chains and Memory, the Onyx Court historical fantasy series, the Varekai novellas, and nearly fifty short stories. For more information, visit www.swantower.com.